Welcome home to Residence 4S: a charming, historically significant, and truly unique offering located directly across from Bryant Park! 4S is found in the townhouse portion of a full-service building, this is a walk-up, with a doorman! Enter into the grand lobby, to be greeted by the friendly doorman, then walk up a beautiful wide staircase to a large landing on the 4th floor, with just one other apartment and a convenient laundry room on the floor. 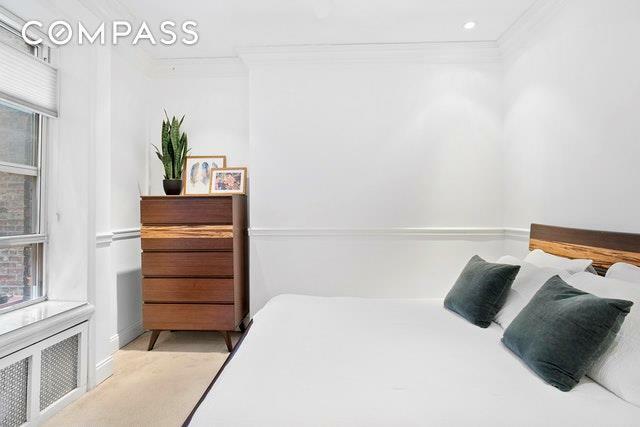 This renovated two bedroom, one bathroom home is pin-drop quiet, and benefits from a tremendous amount of natural light due to oversized south-facing windows and a large skylight. The extra details have already been added for you, there are ceiling fans in both bedrooms and recessed lighting installed throughout the apartment.Youre immediately drawn to the character and comfort of the home. The living space features a working fireplace, exposed brick, and crown moldings. This is the perfect place to relax or entertain friends and family, making use of the wine cooler and pre-wired surround sound system with Bose speakers. The open concept kitchen adds to the appeal, featuring pristine dark granite countertops, large island with breakfast bar, ample cabinet space, and top of the line stainless steel appliances, including a new refrigerator and dishwasher by Samsung and a Jenn-Air oven. 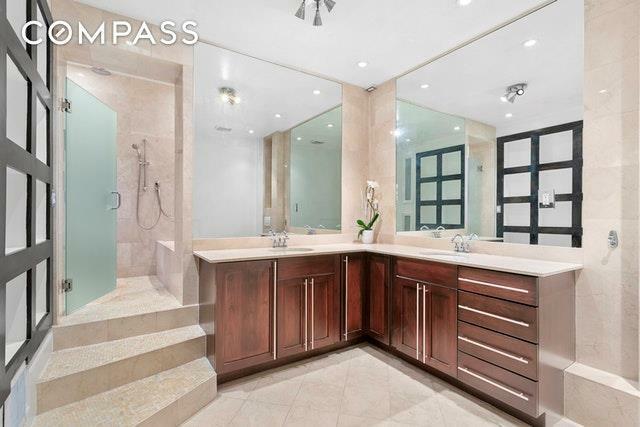 The massive marble spa bathroom is something you rarely see - it truly feels like your very own at-home spa. Features include a double sink vanity, walk-in rainfall shower, soaking tub and multiple convenient storage options. The master bedroom comfortably fits a queen size bed and storage, while the second bedroom makes a great guest room or office, and boasts two closets.Positioned directly across from Bryant Park, 28-32 West 40th Street was built by Andrew Carnegie as the Engineers Club in 1907. 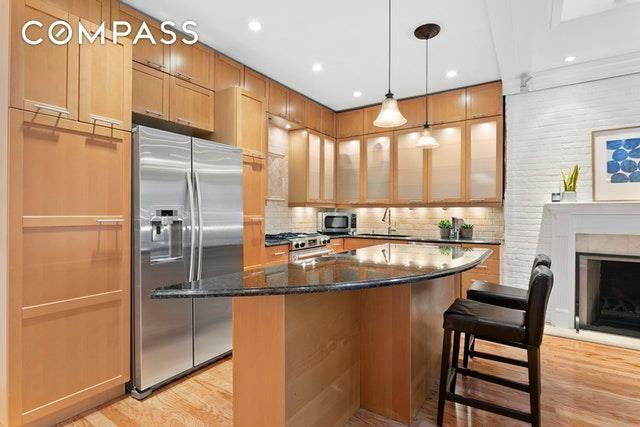 Now a well-run co-op, Bryant Park Place boasts a gorgeous & grand marble lobby, full-time doorman, friendly & attentive live-in super, laundry on the floor, and storage available for rent. Bryant Park Place has been invited by the National Architectural Trust for designation as a historic and architecturally significant building, to be included on the National Register. 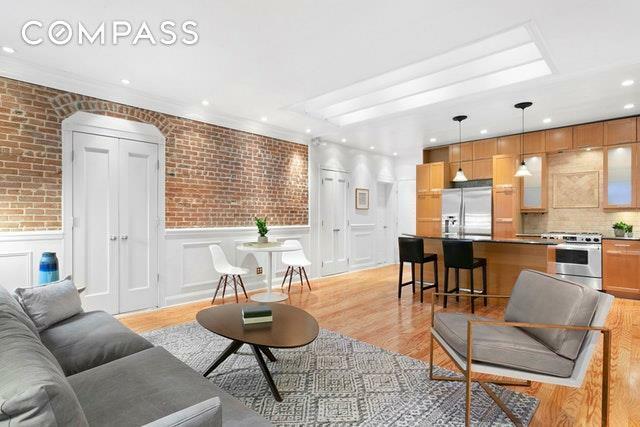 You can enjoy the preserved old world charm of Bryant Park Place, but with all the modern conveniences this city has to offer at your fingertips. Bryant Park, midtowns most beloved park, is home to summer movie screenings, outdoor markets, and the famed winter village and ice skating rink during the holiday season. A brand new Whole Foods and several subway lines are just outside your door, along with some of the top eateries in NYC like Keens Steakhouse, Ai Fiori and Alidoro to name a few. Please note: this is a walk-up.